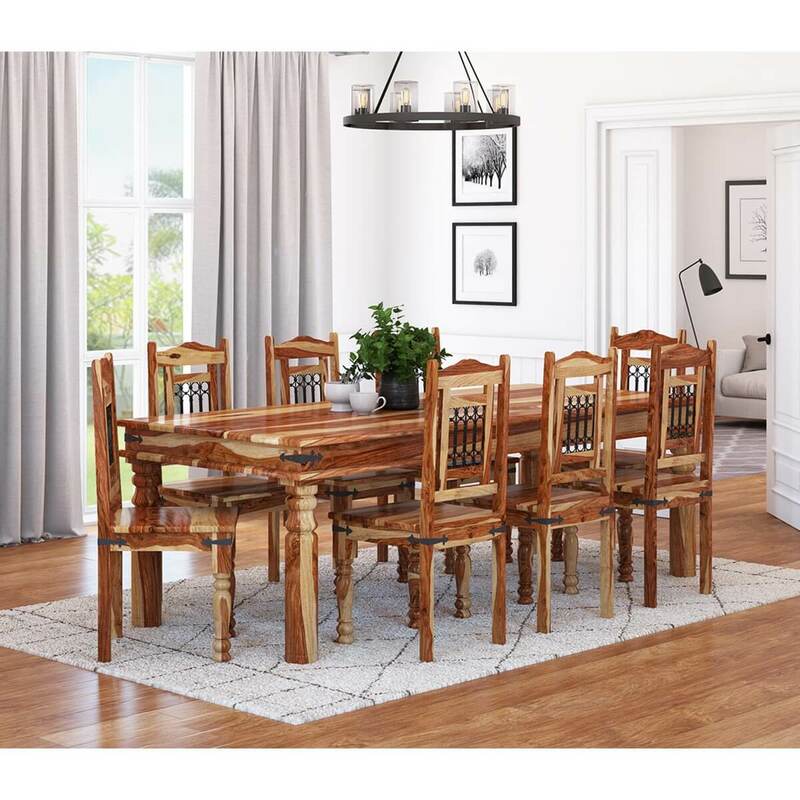 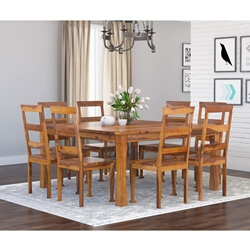 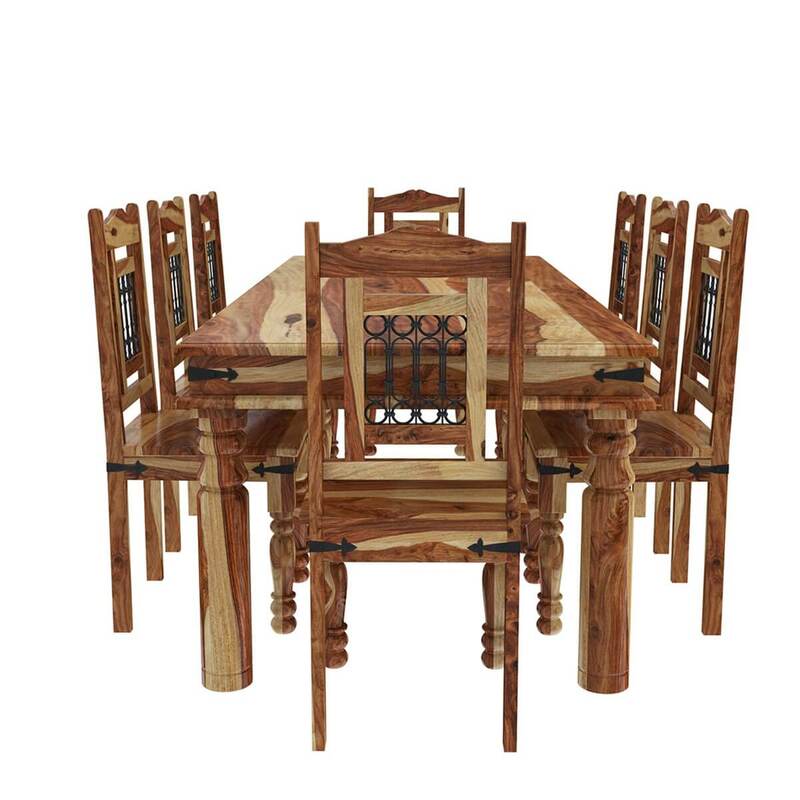 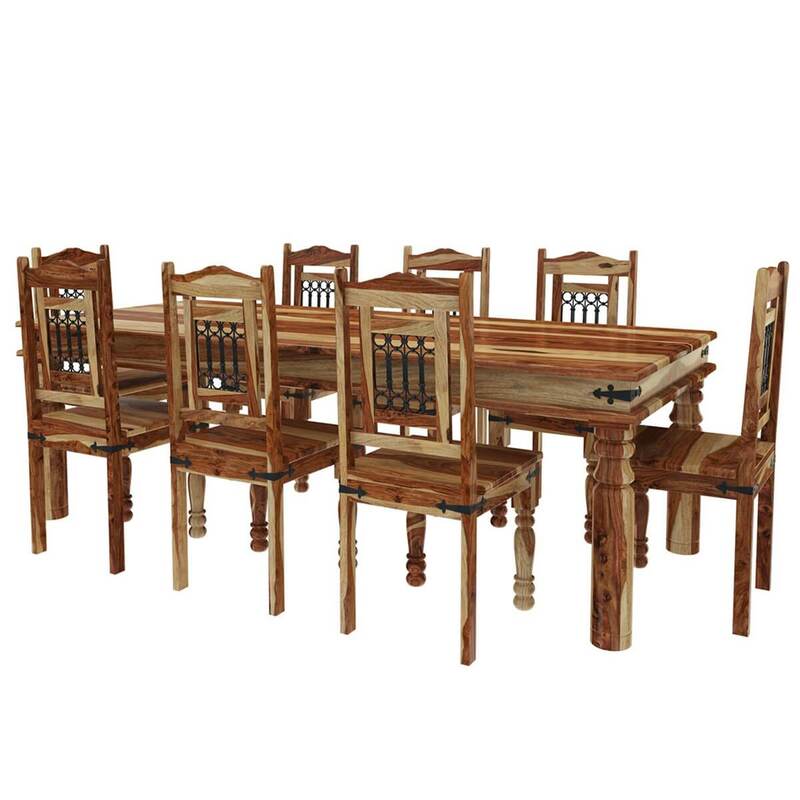 A touch of Texas comes alive with the Dallas Classic Solid Wood Rustic Dining Room Table and Chair Set. 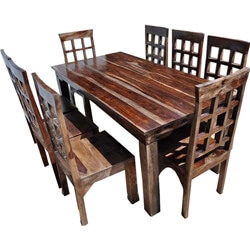 This elegant rustic furniture set incorporates wrought iron into a classic design which will be the centerpiece of any dining room. 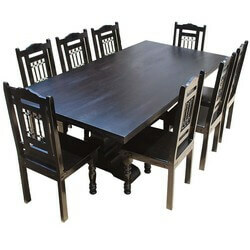 • Black wrought iron grillwork on each chair is set in by hand. 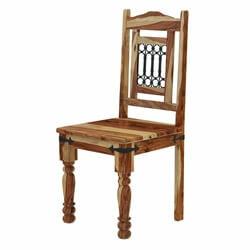 • Metal hinge detail decorates chair and table corners. 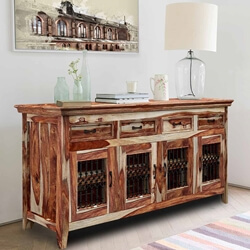 • The Multi-toned stain is individually applied. 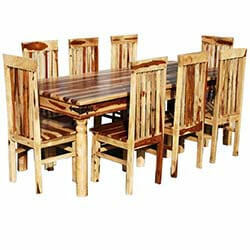 • All wood is properly seasoned, treated, and hand waxed to bring out a satin shine. 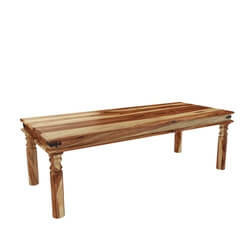 • Classic column design on table and front chair legs. 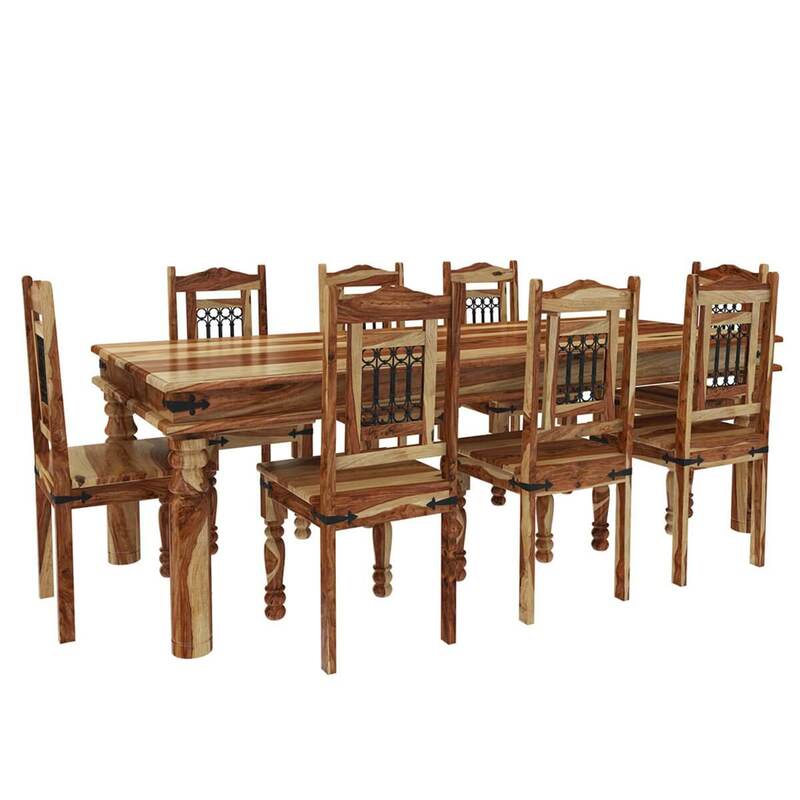 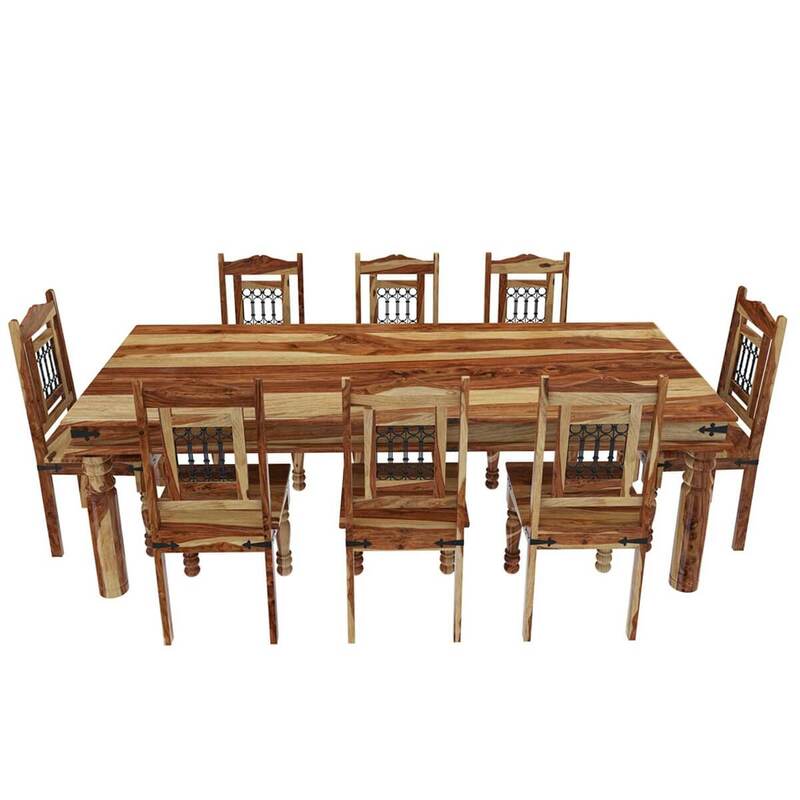 The high back dining chairs have wide seats which are designed for comfort. 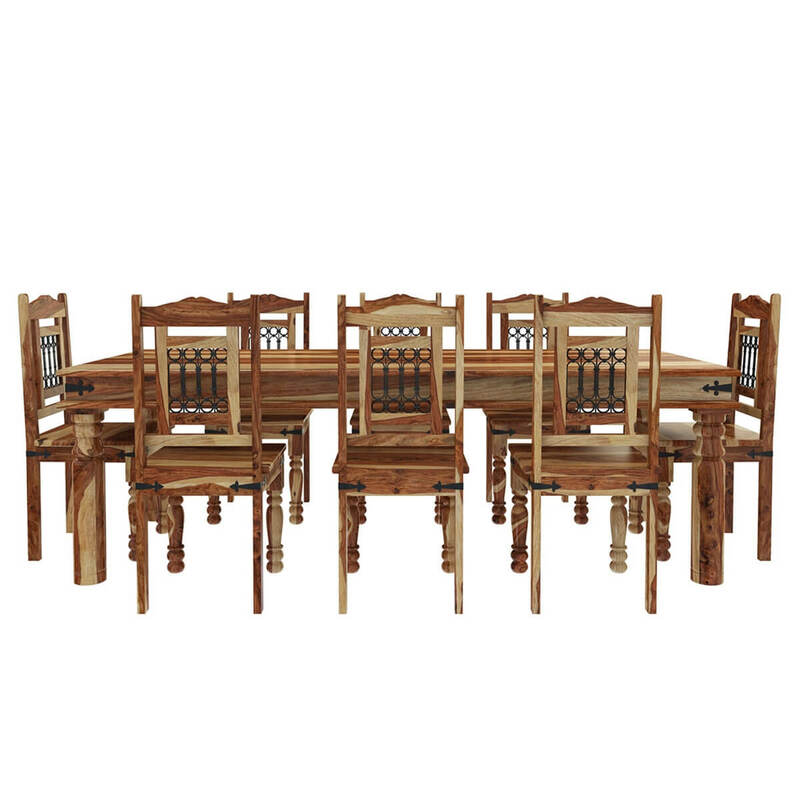 This heirloom quality dining table and chair set is handmade and is properly treated and seasoned for a long-lasting finish.